If we were told we absolutely had to pick a favourite fall dish and that’s all we could eat the whole season, making our choice would be shockingly east for us. That’s because we’re completely obsessed with fall soups! 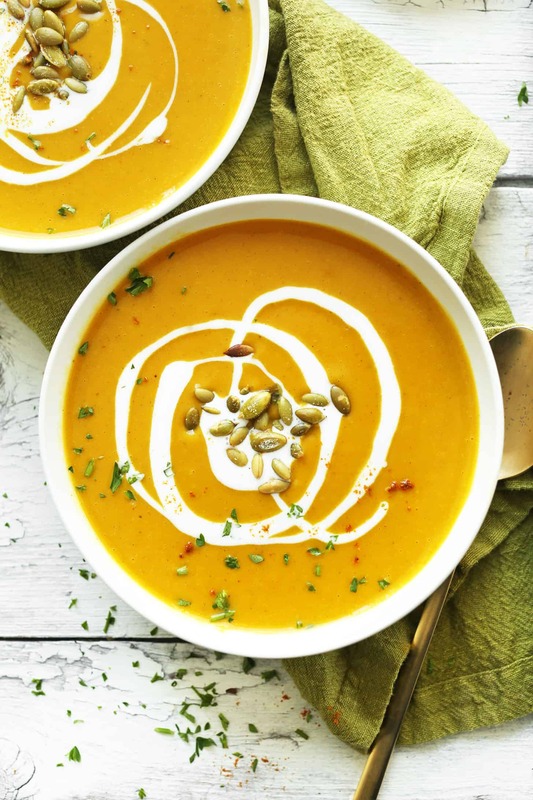 There’s just something about a warm bowl of soup that makes us feel satisfied and comfortable in the chilly weather, and autumn comes with some particularly delicious seasonal flavours that we love to try all different combinations and versions of. Just in case you adore fall soups just as much as we do, if not more, here are 15 of the very best homemade autumn recipes that we’ve come across so far in this year’s search! If you ask us, pumpkins are undoubtedly the most popular thing in fall. Whether you’re eating them, using their flavour in drinks, or using them for decor, almost everyone loves pumpkins. That’s why we were very pleased but not in the least bit surprised to find a deliciously simple and wonderfully satisfying homemade pumpkin soup first thing! See how this delicious dish is made on Chowhound. 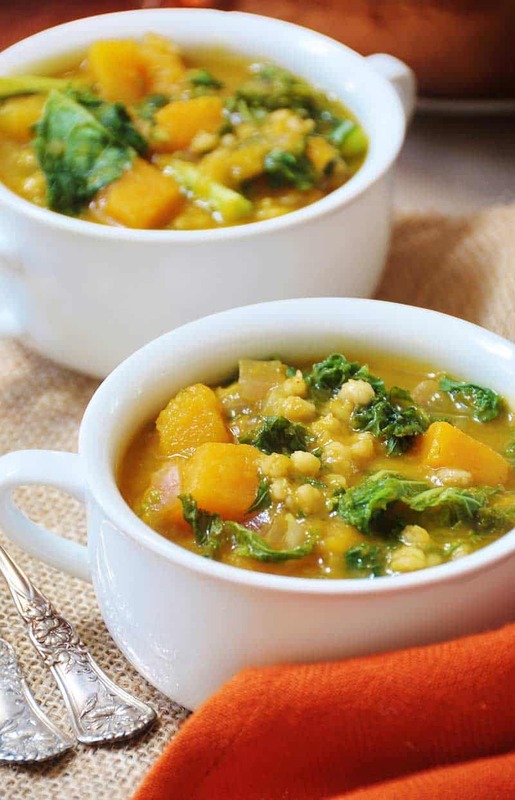 Blended veggie soups aren’t the only kind you can make during the fall, even if they are a popular and delicious option! 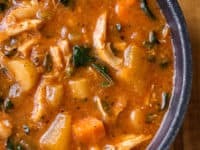 If you’d prefer one that still has some broth to it, check out this fragrant and hearty Italian chicken and autumn veggie soup recipe featured step by step on The Cozy Apron. 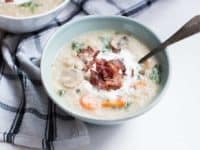 Are you quite intrigued indeed by the idea of making a delicious fall flavoured chicken soup but you’d prefer something that’s hearty in a different way than just being chalk full of seasonal vegetables? Then we think perhaps you might prefer something like this homestyle chicken barley fall soup from My Food Story! The barley and chicken together make sure you’re nice and full. 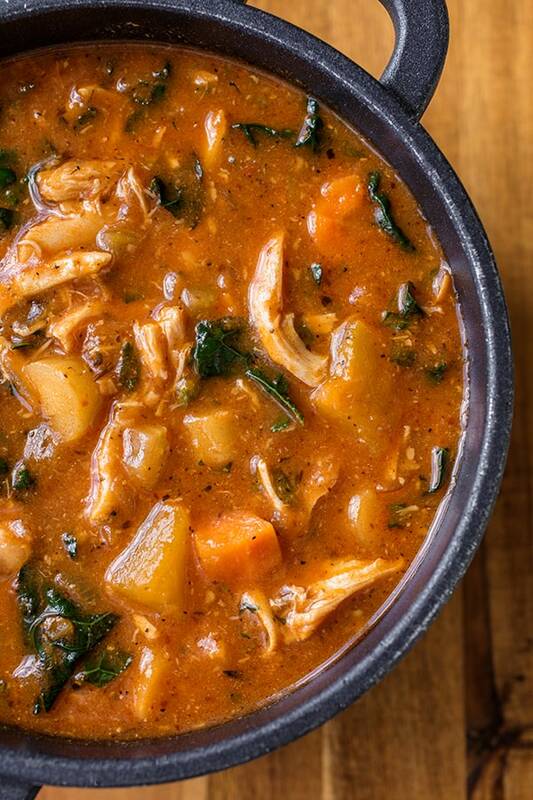 We’ve all got those places where we go out for one meal, discover that they have a soup that’s so good we can hardly believe each bite, and end up coming back twice a week just so we can get our fix all fall long. 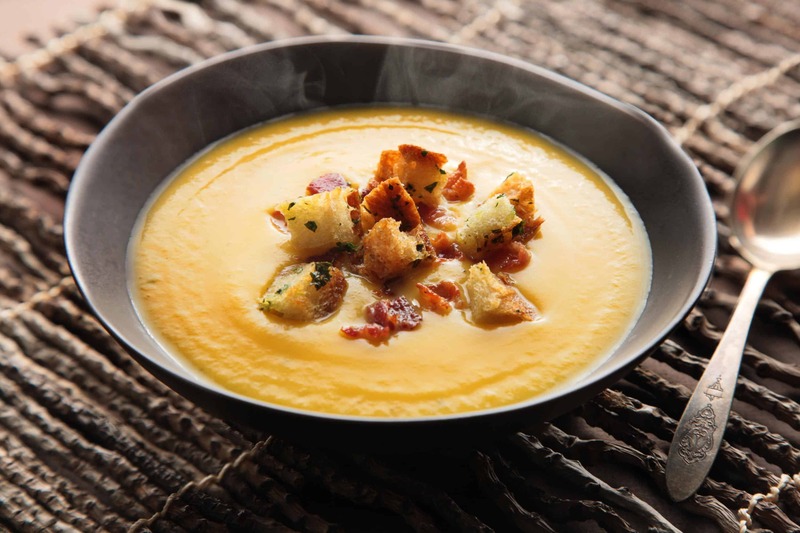 For us, that place was absolutely Panera Bread, but then we found this homemade copycat recipe from Cincy Shopper for their irresistible autumn squash soup and now we can enjoy the dish we love so much at home instead! 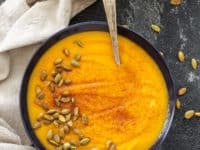 Have you actually been looking at all these different squash and pumpkin soup recipes and finding yourself torn about which one to make first? Well, thanks to this awesome combination recipe from Recipe Runner, you don’t actually have to choose! 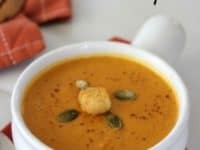 They teach you how to make a blended and seasoned roasted pumpkin and butternut squash soup that just tastes like fall should. 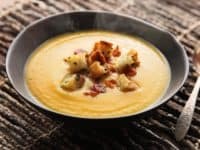 Maybe you’re feeling quite intrigued indeed by the idea of making a homemade butternut squash soup but you’re not convinced that it will have quite enough flavour or kick to it, since you’re the kind of person who usually cooks with a lot of spice and spices? 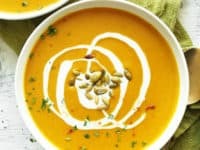 Then we think you might get along a little better with this curried butternut squash soup outlined on Minimalist Baker. Just in case we’ve really caught your attention with these combination blended veggie recipes but you just haven’t quite seen the one yet that makes you feel convinced, here’s another delicious alternative from The Leaf! 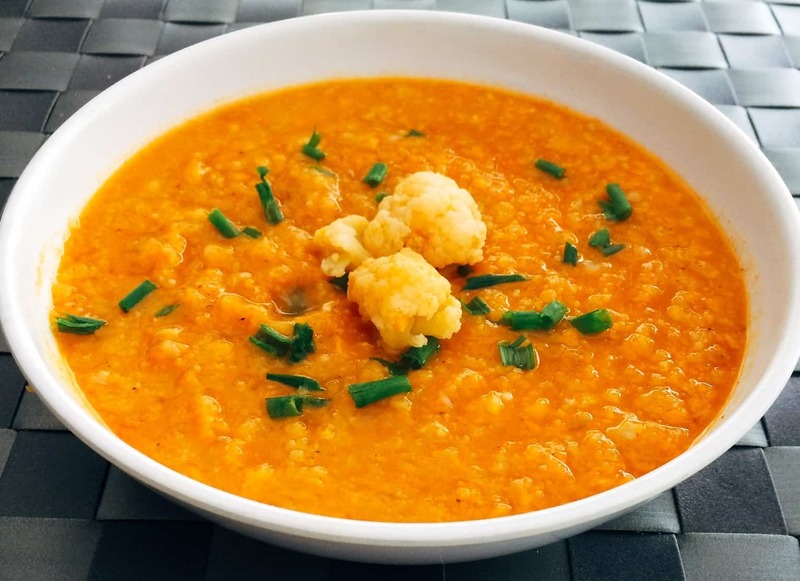 Their tutorial shows you how to make a hearty soup from cauliflower and sweet potato. 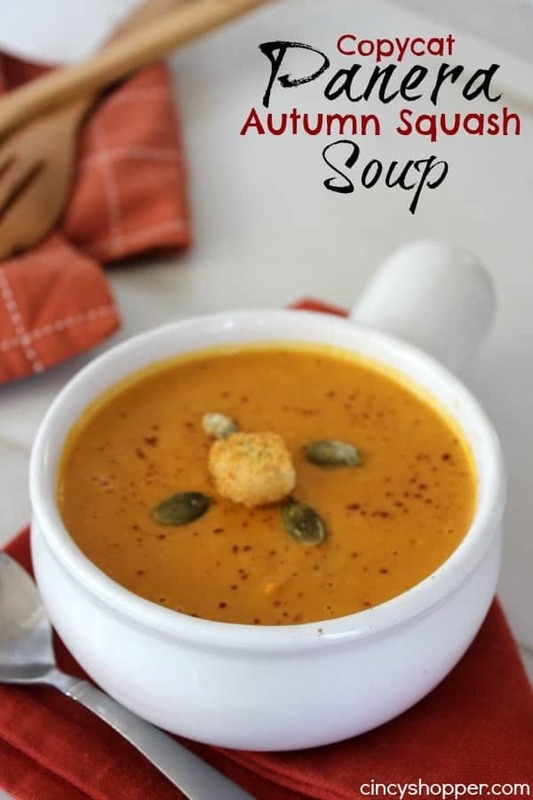 Just to make sure you have all kinds of options, here’s a delicious soup recipe that blends some ingredients you’ve already seen on our list but in new combination, as well as one you haven’t seen here yet! 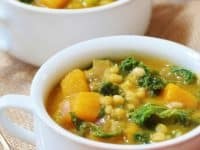 Veganosity shows you how to make a fantastic tasting soup that features chunks of acorn squash along with kale and barley. If you had to pick a favourite vegetable, would you actually choose mushrooms over just about anything else, but you feel like you don’t often find those featured in many fall soups? 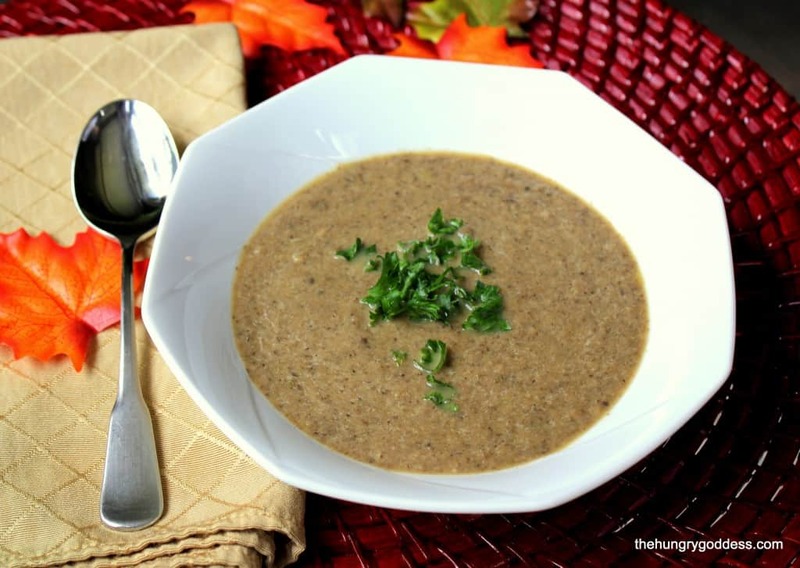 Then we think you’ll be very pleased indeed to learn more about this mouthwatering autumn mushroom soup with cognac, featured on The Hungry Goddess. 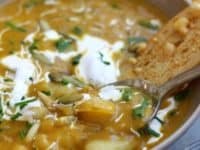 Are you actually still thinking about the idea we discussed where we mentioned that not many autumn soups come with a spicy kick, but you’d prefer a recipe that’s nice and chunky in a hearty way, rather than blended like the curried squash you saw before? 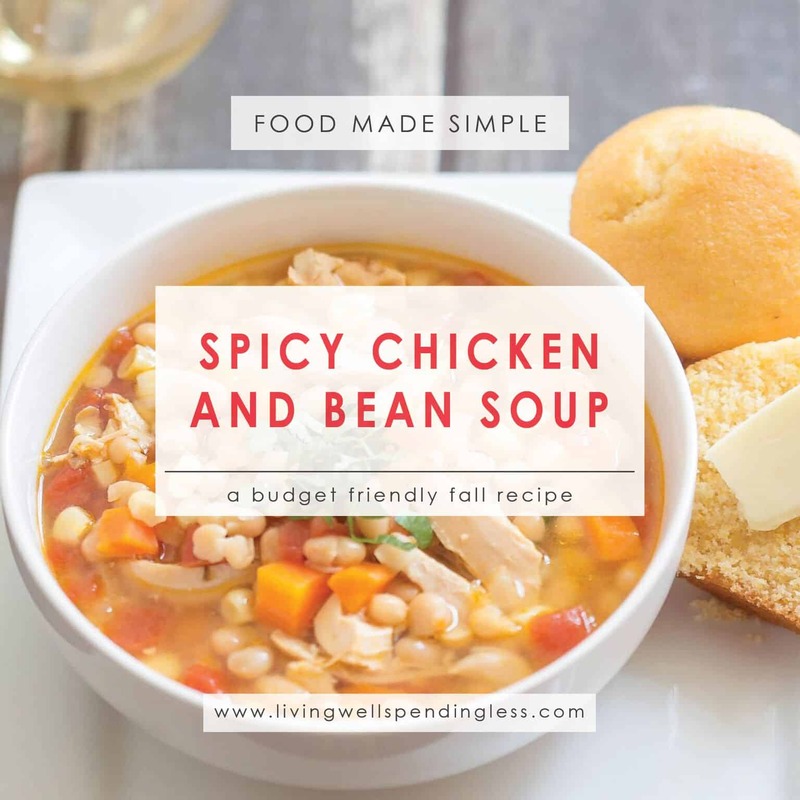 Then we’d definitely suggest taking a look at how Living Well, Spending Less made this spicy chicken and bean soup instead! Just in case the idea of making a bean soup really appeals to you but you’re kind of worn out when it comes to chicken because you’ve already eaten it three times this week, here’s a delicious alternative for your consideration. 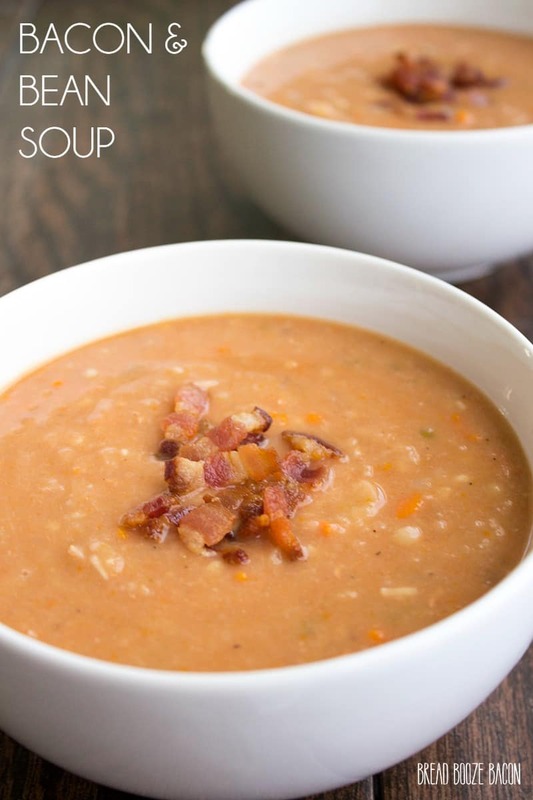 We’d suggest giving this bacon and bean fall soup outlined step by step on Yellow Bliss Road a try instead! 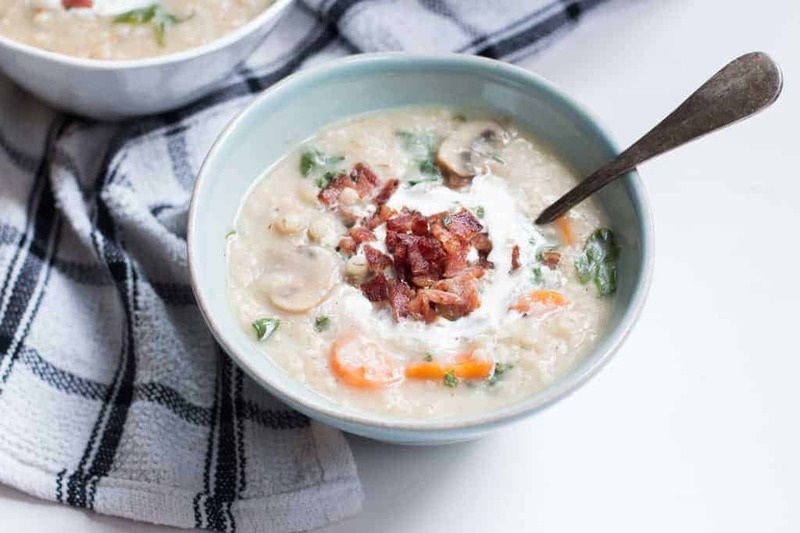 Have you actually been scrolling through our list and thinking about how much you love the sound of a creamy chicken soup, but they usually have barley in them and there’s just something about the taste or texture of barley that you don’t like? 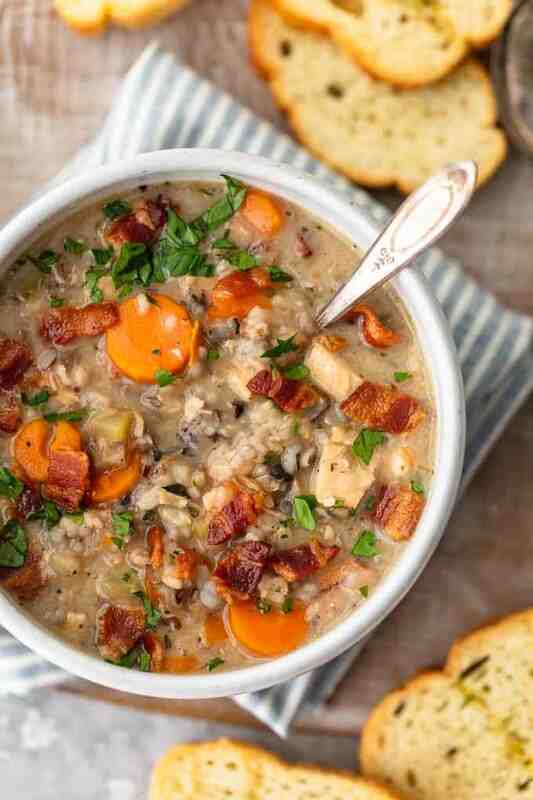 Then we think you simply must take a look at how The Cookie Rookie creamy chicken and wild rice soup instead! We love the way they crumbled bits of real bacon on top. 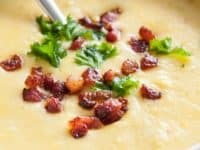 When we’re feeling very cold indeed and we really want something that will fill us up and leave us feeling comforted, we always make a potato soup! There’s just something so warm and delicious about the blended potato recipe that we adore. 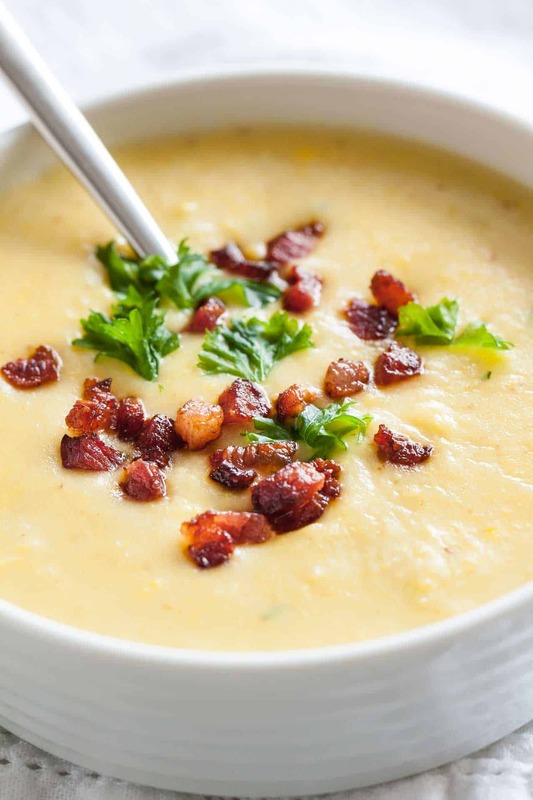 We’re particularly big fans of the way Plated Cravings made this potato bacon soup with corn. 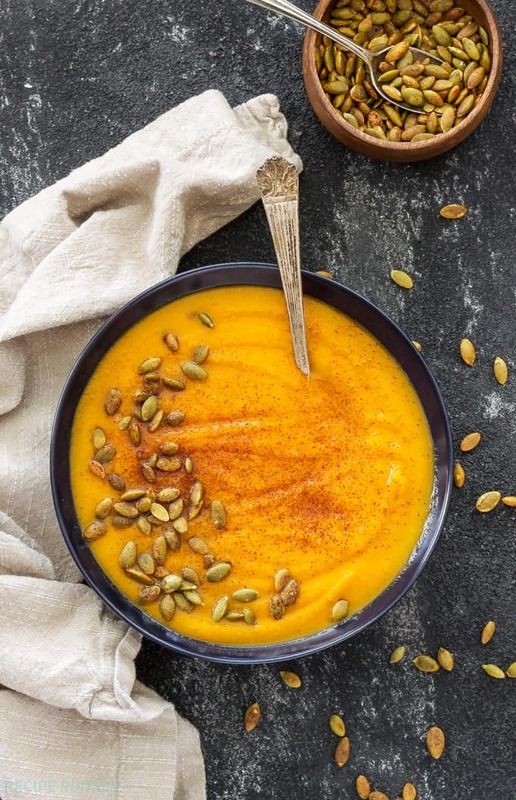 Believe it or not, blended soups aren’t the only kind you can make that involve pumpkin! 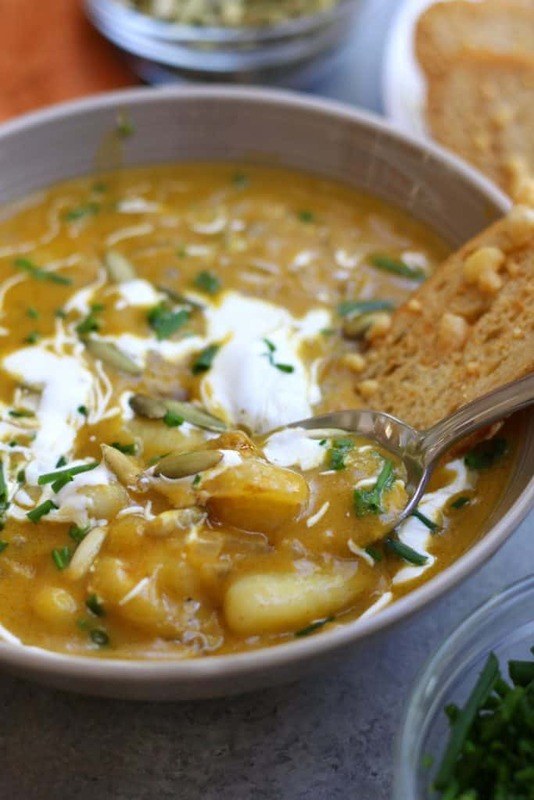 If you’re the kind of soup lover who doesn’t want to miss out on the broth you love so much, then we think you’d definitely prefer the way The Fed Up Foodie made this absolutely scrumptious pumpkin gnocchi soup that’s nothing short of filling and incredibly satisfying. 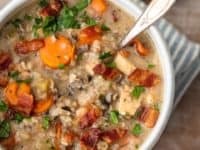 We know we’ve talked a lot about chicken soups so far, but chicken isn’t actually the only thing you can mix with barley to make a hearty, barley based dish! 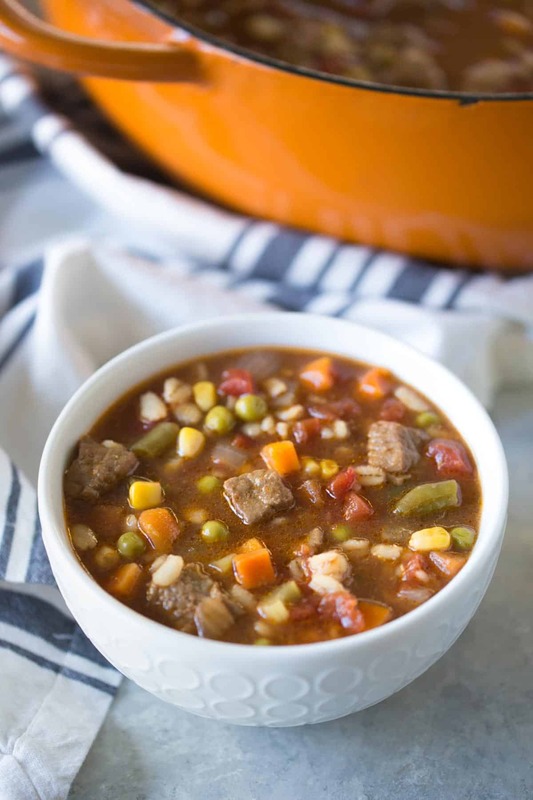 Just in case you’d prefer another kind of meet, here’s a scrumptious vegetable beef barley soup from Simply Whisked that tastes like the absolutely epitome of a home cooked autumn country meal. 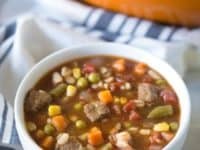 The post Pumpkin, Chicken and More: 15 Delicious Homemade Soup Recipes for Fall appeared first on WonderfulDIY.